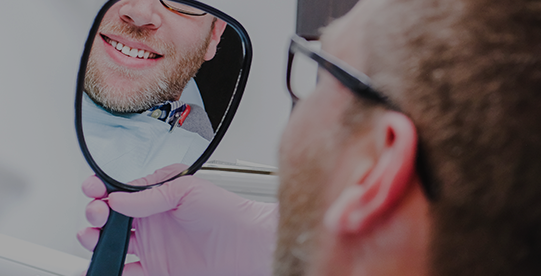 For the last two decades, dental implants have been transforming the way that dentists can replace teeth that have been extracted or lost as a result of severe dental decay or irreparable damage. Today, not only do you have the option to choose dental implants over conventional tooth replacement solutions, but you can now also decide which type of dental implant you would like. Titanium has long been the standard material for dental implants, but many implant specialists also offer a variety made from zirconia. 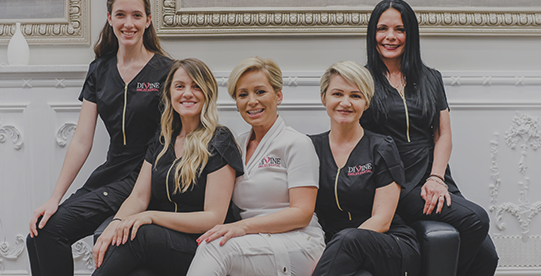 At your dental implant consultation, our experienced and knowledgeable dentist at Divine Smiles Dental will discuss your options for dental implants. Together we will be able to decide which type of dental implant, titanium or zirconia, is most suited to your requirements. In the meantime, here is what you need to know about titanium and zirconia dental implants. Titanium is a biocompatible material. This means that it is almost never rejected by the body. In fact, it is so compatible with the human body that it has been used for decades, has around a 95% success rate and is the main material for any surgically-implanted device. That said, a small number of patients may experience an allergic reaction to titanium, and if this is the case, you may almost certainly be referred to as zirconia implants. Titanium implants are supplied and fitted in three distinct parts. Firstly, the titanium post is inserted into the jaw bone and left so that the bone fuses around it. This process, known as osseointegration, is vital to the success of each implant. While this is happening, the second part of the implant, a connector known as an abutment, is used to secure the titanium post to a temporary crown. Once osseointegration has taken place and Dr. Rubinoff is satisfied that the bone growth around the post has secured it, your custom-designed crown can be supplied and fitted. Titanium implants have a reputation for being the most durable of all cosmetic dentistry solutions, and with the right care and attention, they could last upwards of 25 years. Although zirconia is a fairly new material when it comes to using in dentistry and specifically, dental implants, it is still a very viable and successful option. Like titanium, zirconia is also biocompatible. Unlike titanium, which is metal-based, zirconia is instead a metal-free crystal material. It is also tooth-like in color and many argue that is it more translucent and natural in appearance than the porcelain used in conventional titanium implants. Another key difference between zirconia and titanium implants is that zirconia implants are normally supplied as a one-piece device that must be inserted completely with your custom-designed and milled crowns already attached to the artificial root. For this reason, zirconia dental implants are most often used in same-day dental implant procedures, with both the implant post and prosthetic tooth being placed the very same day. They are also considered to be completely unsuitable for patients who require full mouth reconstruction and need all of their teeth replaced. This is because this type of treatment takes a great deal of planning and prolonged execution so that the overall result is both cosmetically attractive and functional. Therefore, conventional titanium implants are the preferred option in these instances. Although zirconia implants are still considered to be fairly strong in terms of compressive forces, they have sometimes been known to fracture. If you are considering dental implants and would like more information on titanium versus zirconia dental implants, call Divine Smiles Dental at 929-236-9500 today.